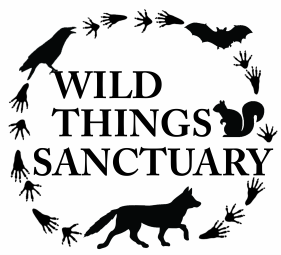 Wild Things Sanctuary is a 501(c)3 registered public charity, and was founded in 2008 by Victoria Campbell. It is a small home-based center in Ithaca, New York. Campbell holds a New York State Class II wildlife rehabilitator license, a state license to work with rabies vector species (raccoons, skunks, bats), and a federal license to work with native birds. Since 2012, Campbell has specialized in native bat care in response to the decline of bats due to White-nose Syndrome, and absence of bat rehabilitators in New York. Wild Things Sanctuary is now one of the only facilities in the Northeast specializing in native bat rehabilitation. In addition to hands-on rehabilitation, Campbell enjoys reaching out to the public to help educate people about the importance and needs of wildlife. She has also worked with author Jennifer Keats Curtis on Animal Helpers: Wildlife Rehabilitators, a book aimed at teaching young readers about wildlife rehabilitation. During the day, she works at the Cornell Lab of Ornithology, where she often assists the public with bird rehabilitation concerns. 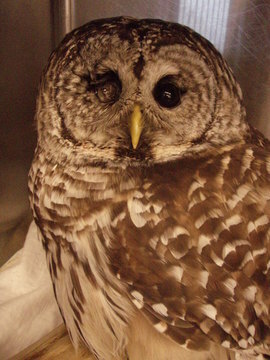 Campbell has been a licensed New York State wildlife rehabilitator since 2007. 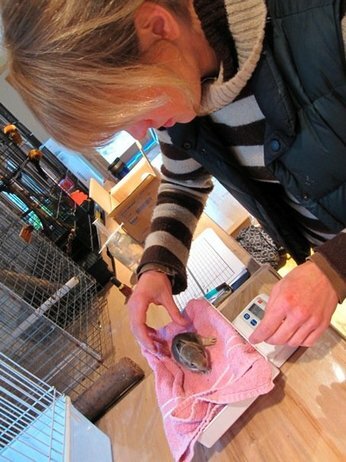 Campbell weighing baby bunny that is about 2 weeks old. One of Wild Things' first patients: a Barred Owl who had lost his eye to injury and infection and was starving due to his inability to hunt. Once the dead eye was removed & infection cured, he slowly put weight back on and learned to hunt using his one good eye. He was eventually released.